One isn’t born knowing how to sell. It’s a skill and eventually a talent, developed over time. Learning sales techniques typically isn’t done in a vacuum either. The best sales professionals are constantly learning, experimenting, observing what works and doesn’t work and adjusting their tactics when necessary. Self-generated learning is mandatory for any successful individual, yet top performers in any field – athletics, acting, voice, sales, art or even life – excel because they understand the value of a professional coach or “guide”. As humans, we typically cannot observe what we are blinded to – and at some level, all of us are blinded to some of our behaviors. As a sales professional, being unaware of where you may be off-track or not being able to get back on track can be costly, if not devastating, to a career. 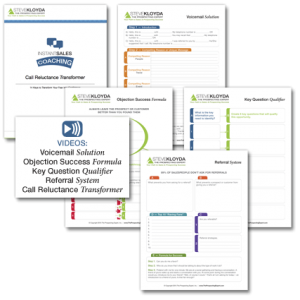 Each participant has access to proprietary “Sales Tools” with simple step-by-step strategies and prospecting tips as well as an exclusive collection of “Sales Calls” for learning from both disasters and best practices in sales prospecting. 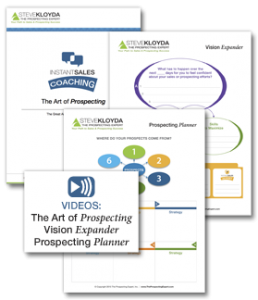 Participants reportedly think differently about how to maximize their sales prospecting efforts after going through the coaching process. Steve has identified the most common problems salespeople experience, and incorporates his talents as an artist to show how to solve the problem visually for better retention. Because of Steve's Sales Prospecting approach, hundreds of sales professionals have overcome barriers keeping them from reaching their goals. This unique approach includes simple to use strategies that you will apply through practice, application and continuous improvement. These programs are specifically designed to build and layer your learning experience regardless of your skill level or learning style. Five Online Success Modules. Each module takes approximately 90 minutes to complete and contains, ebooks, videos, tools, and more! Your roadmap to identify your goals, where to find your prospects, and strategies to dramatically increase your sales pipeline. 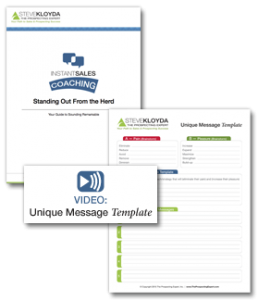 Your guide for creating a powerful sales message that attracts the attention of any prospect in seconds. 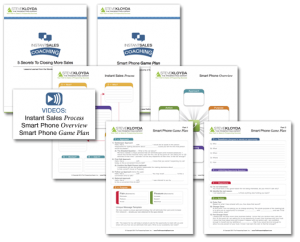 Your plan to maximize the entire sales process so you can reach more prospects and drive more sales. Your daily strategies to eliminate the distractions that take you off course so you can focus on your most important sales activities. Your resources for personal development, increased learning and productivity including books, apps, tools and more. Steve’s proprietary learning approach is simple. You will learn through practice, application and continuous improvement. 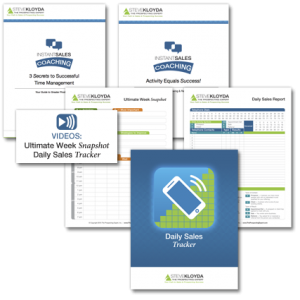 Instant Sales Coaching is specifically designed to build and layer your learning experience regardless of your skill level or learning style.